The present course, on Pine Mountain Road, Carindale was opened on February 29, 1964. 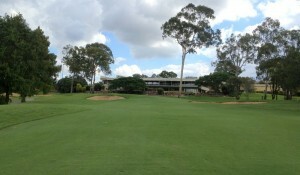 Conveniently located only 15 minutes from Brisbane’s CBD, Pacific golf course is easily accessible for most who live in and around the city limits. As a semi-private course there aren’t too many major corporate days which clog up the course, so generally on a weekday you can fly round in under 4 hours easily. 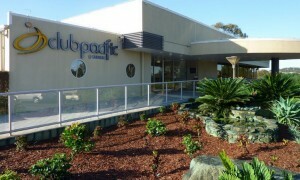 Pacific has a more established and prestigious feel about it than some of the other newer courses in the area, this is reflected in its history of hosting the Queensland Open three times in the past 40 years. Many mature and manicured trees line the fairways here giving a sense of history and long standing. 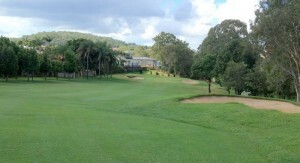 The greens are always a pleasure to play on, holding good pace and a receptive feel. It never strikes me as a particularly difficult course, but this by no means detracts from the pleasure of playing it. I have had the fortune of playing here many times with a member and it is always an enjoyable experience. It reminds me very much of my home course in the UK with many changes in relief and lots of uphill approaches to greens. The 1st is a nice hole to start with, an average length par 5, but the well-positioned creek half way down the length of the hole prevents a long drive. The tee shot has to be well placed down the right hand side to allow for any chance of a crack at the green in two. And the severe downhill slope of the fairway ensures that any tee shot not quite long enough will result in a difficult stance for your second shot. There are a number of holes such as the short par 4, 2nd at Pacific that are aesthetically very pleasing to play and whilst not the most testing distance wise still require great precision off the tee to allow for an easy approach shot. The 9th and 18th holes run alongside each other, both heading back towards the clubhouse, and are very similar testing par 5’s. A long and straight tee shot is required to allow any hope of getting up in two again with a long second shot which has to be carefully directed around a myriad of protective bunkers. The upward elevation (10m+) of these two holes makes them both play longer than the card suggests. Next is a very testing right to left par 5 with out of bounds bordering the whole of the left hand side. A slinging draw is required if going with the driver, but beware, a watery grave awaits a shot hit too long and straight. The 12th is another short dogleg par 4 which for the longer hitters is almost within reach off the tee, but the drive must be accurate as it is easy to be blocked out by the two large trees left and right of the green entrance. 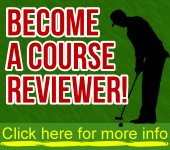 The alternative is a fade lay-up off the tee to leave a short to mid iron approach. Aside from the tough 18th, the 16th is a great challenge to the finish. Again, a relatively short par 4, but with water occupying the remaining 100yds of the right hand side of the hole, a lay-up mid iron off the tee is imperative. This will leave a short to mid iron approach navigating your way up the long and deceptive green. Green Fees: 18 Holes varies from $35 – $75 on weekdays and $45-$85 on weekends. Pacific is a semi-private course.